Bob Mulligan is an Internationally known Astrologer and Teacher and has had a friendship with Leela and Dale that has spanned many lifetimes. This top photo has Bob, Leela and Dale in the foreground. Bob came for a satsanga and a workshop. Those who took the workshop were impressed with the quantity and quality of information he had to teach. 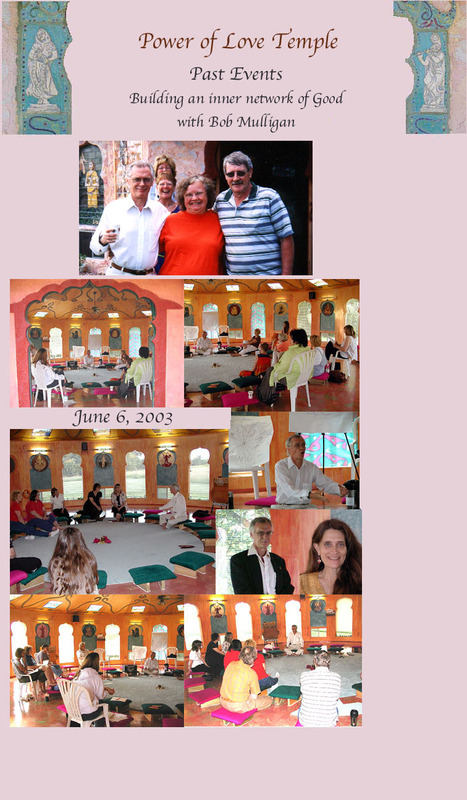 Bob is a disciple of Meher Baba and brought Baba in his heart to bless the temple with his energy. Sue Moon (Kadambari) seen behind Bob and Leela in the top photo prepared a delicious vegetarian lunch for the participants.